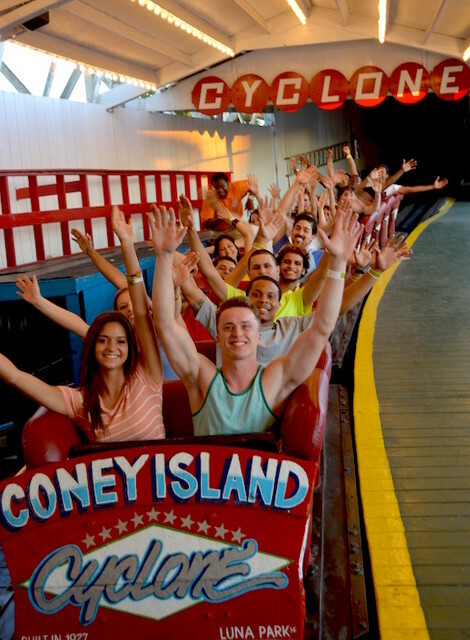 Coney had their first roller coaster rolling in 1884. Luna Park opened in 1903 in Coney Island, Brooklyn, in New York City. 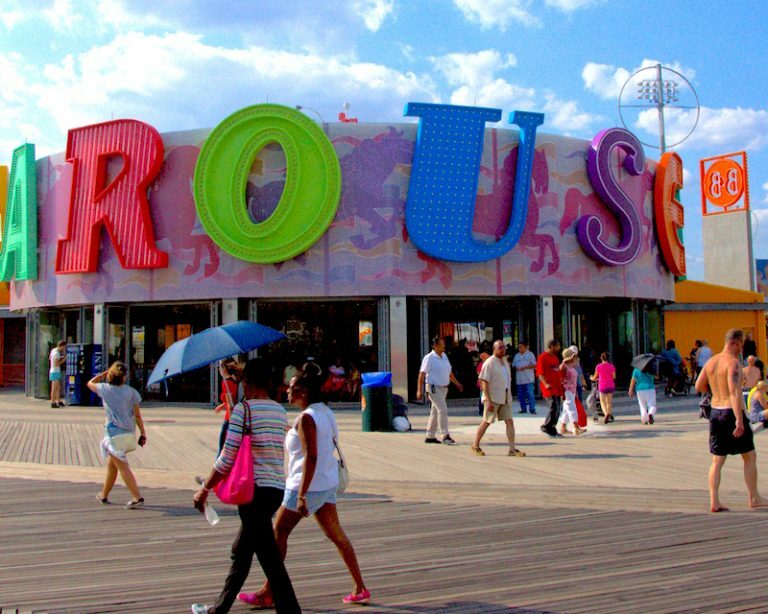 Roll forward to 2010, Central Amusement International (CAI) decided it was time for Coney Island to have a new and revitalized amusement park while still preserving the historic area. Luna Park created over 200 jobs for the local community, drew in hundreds of thousands of visitors and is currently one of Brooklyn’s most popular tourist attractions. This seasonal park is now home to dozens of thrill rides, entertaining games, retail kiosks & family-friendly dining options. CAI needed brand-appropriate music for a number of Luna Park’s eateries, rides and recreational public spaces. Family friendly music (relevant to include teens), that is personally curated, regularly updated and licensed for public performance. They needed to remain consistent with their fun and safe image while keeping their diverse customer demographic and employees in mind... few repeats with a good variety to make the atmosphere come alive while waiting for rides or watching the kids lose their stomachs on the rides! Being an outdoor entertainment center in New York makes it a seasonal business. CAI and other seasonal businesses don't want to be locked in to long contracts or pay year round, just for the months that they are open. We offered Luna Park a variety of current & upbeat music stations, such as our Kids Music & Adult Alternative stations, to help them generate a fun & inviting atmosphere for all customers. They streamed our music through our CloudBoxes at many different locations including the Scream Zone, Steeple Chase, Place to Beach (Mexican-inspired bar), a corporate office, and general park zone. Luna Park also utilized Cloud Cover’s Messaging Services to create targeted audio messages to better connect with customers and boost sales. These agile advertisements promoted all components of the amusement park - their exciting new rides, event services, online platforms, the Victorian Gardens, wristbands, retail stores, games & more. The monthly services don't require a contract, so Luna Park simply hibernates their Cloud Cover Music account when they are closed for the chilly months, then pick back up in Spring! The Results: "great asset to Luna Park’s overall customer experience"
"Cloud Cover Music is a great asset to Luna Park’s overall customer experience, the music channels have an amazing variety of songs and genres. The program is user friendly, even the most inexperienced computer person will be able to work the program. I would recommend this program to anyone interested in a simple and easy music and messaging system for their business."